Based anecdotally on conversations I’ve had recently, a good number of people believe that many American-brand vehicles are built by foreign companies. I actually heard one person claim, “They’re all built by the Chinese now anyway.” Sadly, I was related to this person. A quick scan of everything being sold in the U.S. by Fiat-Chrysler, Ford, and General Motors suggests otherwise. In fact, there is but one 2016-model American-brand vehicle that is built by another auto manufacturer: the Chevrolet City Express. Introduced for 2015, the City Express is a small commercial van assembled by Nissan. The City Express is basically a Nissan NV200 fitted with a Chevy grille. The arrangement seems to work well for both companies–Chevy gets a small van, and Nissan makes use of a little production capacity that would otherwise go wasted. Yet, rare as this practice is today, it was once rather common. Around the time the term “import fighter” came into vogue in Detroit, the Big Three carmakers realized that it was much easier to simply import a car to slot into the entry-level end of the product portfolio than to design and build one from scratch. These vehicles came to be known as “captive imports,” and they attracted buyers that would otherwise have considered an import vehicle, most likely Japanese. Some brands, like Dodge and Plymouth, openly advertised their small cars as “imports,” while the General Motors divisions played things a little more coyly. 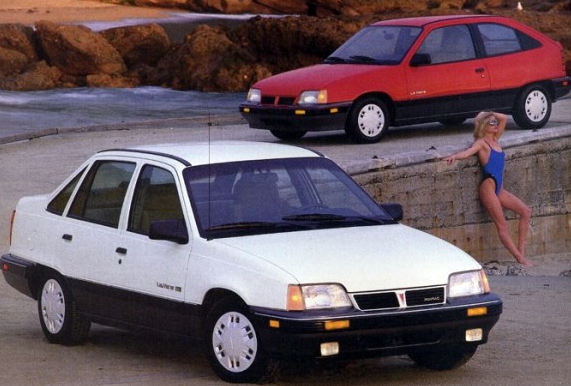 Here, we look at the captive import cars of 1987. Let us know how many of these vehicles you remember, or if you’ve seen any of them recently. If you’re shooting for Toyota quality, why not just go to the source? Indeed, the Nova quickly became the General Motors model with the lowest number or warranty claims. Based on Toyota’s home-market Sprinter, the Nova was closely related to the U.S.-market Corolla, and shared that car’s drivetrains. The Nova was offered in 4-door-sedan and 4-door-hatchback body styles. 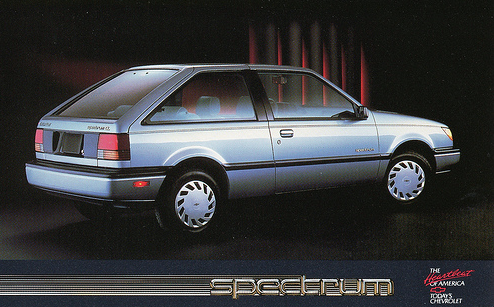 Though only slightly smaller than the Nova, Spectrum was positioned below it in the Chevrolet lineup. A near clone of the U.S.-market Isuzu I-Mark, the Spectrum shared that vehicle’s body style and powertrain offerings. Available were a 2-door coupe, 4-door sedan, and a rather zesty turbocharged version of the sedan boasting 105 horsepower. With the Chevette on the way out, Chevrolet turned to Japanese motorcycle and car builder Suzuki for an entry-level product. 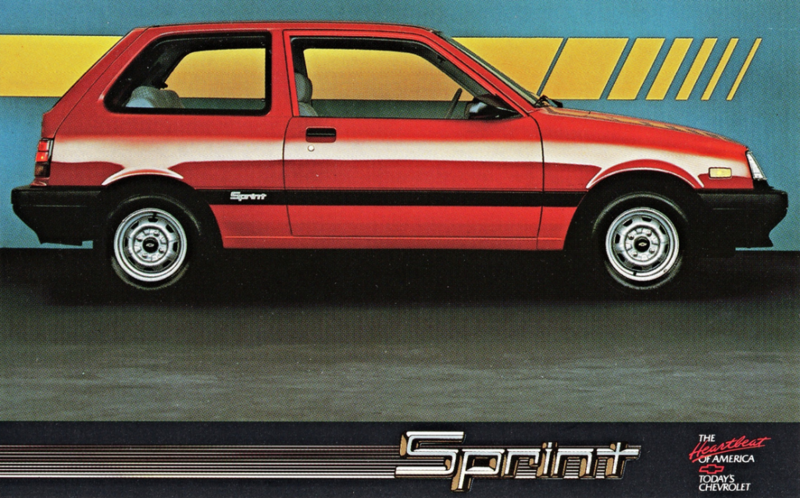 The Sprint was based on Suzuki’s home-market Cultus, and was offered as a 3-door and 5-door hatchback. Rather rare now are examples of the Sprint Turbo, which added 22 horsepower (up from 48) and a sport suspension to the mix. The Turbo was only available as a hatchback. A replacement in Chrysler’s lineup for the front-drive Dodge Daytona-based Laser, the rear-drive Conquest represented a significant step up in terms of performance and refinement. Though never a brisk seller, the Conquest was well received by the media, and likely boosted showroom traffic. 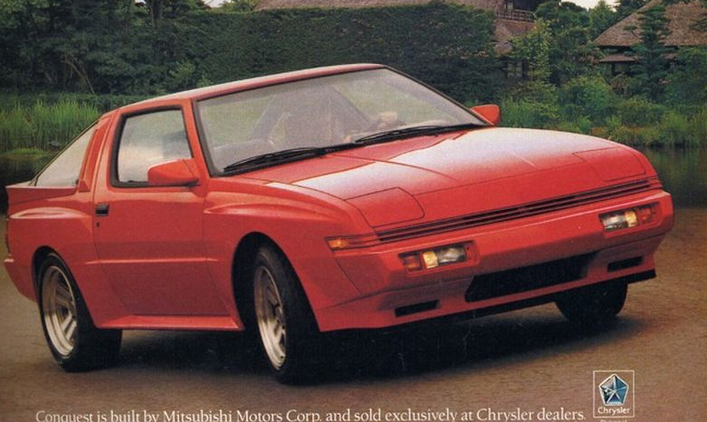 Like the Mitsubishi Starion on which it was based, the Conquest was offered only with a 176-horsepower turbocharged engine and in hatchback form. 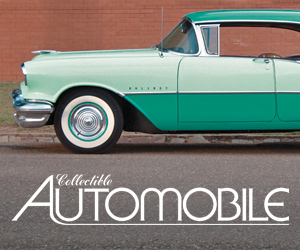 The only difference between the Dodge and Plymouth Colt was the brand badge on the decklid. Otherwise, these cars were identical, right down to the pricing. 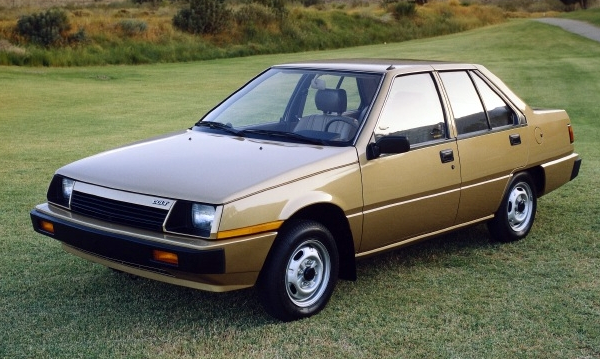 Assembled in Japan by Mitsubishi, the Colt was a virtual clone of that maker’s Mirage, and could be had in 3-door hatchback and 4-door sedan forms. A turbo package boosted horsepower by 37, but was only available on 3-door models and set shoppers back a stiff $1248. Like the subcompact Colts, Dodge and Plymouth versions of the Colt Vista were identical. 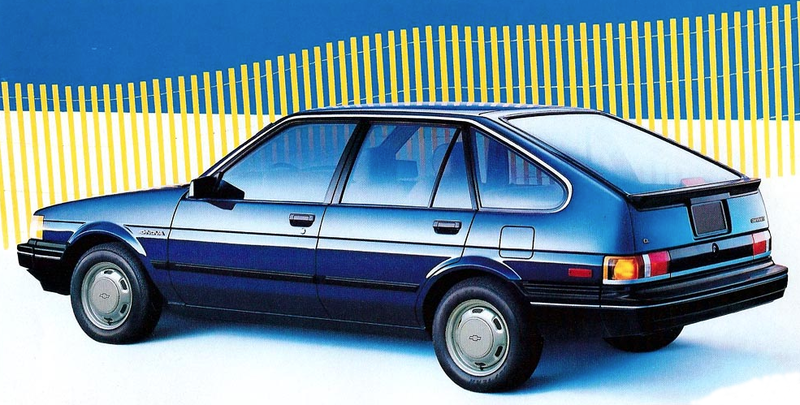 Built in Japan by Mitsubishi and based on that maker’s home-market Space Wagon, the Colt Vista was a precursor to today’s small crossover. Despite being available with all-wheel drive and a 3rd-row bench seat, the Vista never sold especially well, though it has something of a cult following among enthusiasts today. Ford answer to Chevy’s Sprint, the Festiva was built by Korean manufacturer Kia using a Mazda design. It’s worth noting that at the time both Ford and Mazda had an equity stake in Kia. 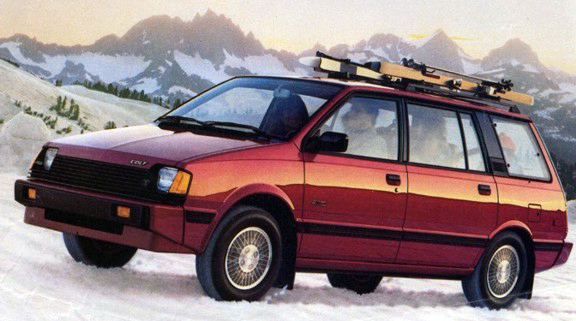 The 1987 Festiva was available only in 3-door hatchback form, and only with a 58-horsepower 4-cylinder engine. The Tracer almost doesn’t qualify as a captive import, as it was actually built by Ford at the company’s factory in Hermosillo, Mexico. However, because the Tracer was essentially a clone of the popular Mazda 323, its engines, transmission, and many trim pieces were supplied by the Japanese maker. 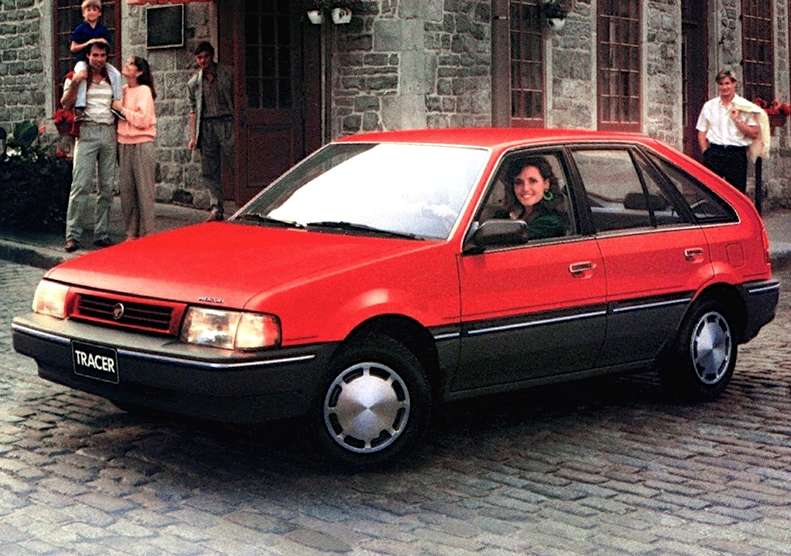 Tracer was offered in a single trim level in 3- and 5-door hatchback body styles. Like the Ford Festiva, the LeMans was the product of a three-way partnership. Built in Korea by Daewoo, the LeMans was based on the Opel Kadett, then a popular vehicle in Europe. Offered in 3-door hatchback and 4-door sedan body styles, the LeMans came only with a 74-horsepower four-cylinder engine. Written by: Tom Appel on January 5, 2016.on March 20, 2019.